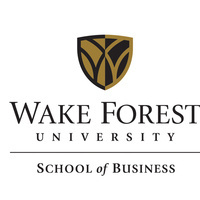 Deac' for a Day is an interactive experience that allows our prospective students an opportunity to fully engage with the Masters in Management, Masters of Science in Accountancy, Masters of Science in Business Analytics and our Wake Forest community. For candidates with complete applications, there will be an opportunity to complete your admission interview. Additionally, it provides you the total view of graduate student life, and allows for the opportunity to meet current students, program faculty, staff and alumni. Registration is required.